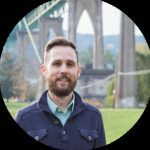 ELGL member and City of Estacada, Oregon Economic Development Director Matt Lorenzen is attending the Main Street Now conference and he’s sharing everything he’s learning in a blog series and on ELGL social media channels. Hey y’all. (That’s the first time in my entire life I’ve used the word “y’all”.) In just a few short days I’m going to be blogging and tweeting from the 2019 Main Street Now conference in Seattle, Washington (March 25-27). While Downtown Estacada is a work in progress, we have seen the efficiency and efficacy of the Main Street program. That’s why we at the City, council and staff, work very closely with our local Main Street organization to transform Downtown into a destination for both residents and visitors. Communities across the country, big and small, do not need to hold their breath, cross their fingers, or recklessly use incentive programs in order to bring jobs and community wealth back. Follow along and learn what I’m learning—how business and property owners, volunteers, and municipalities can work together to grow jobs, investment, and a sense of place in your community. Follow along and engage with Matt at this great conference for creating economic and social prosperity in downtowns and neighborhood commercial districts!